Make a Cake from Scratch with 31 Homemade Cake Recipes! There is nothing like the welcoming aroma of home-baked cakes as you walk into a kitchen. 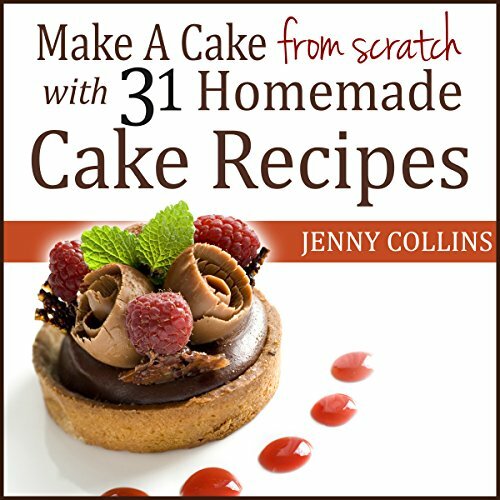 This book, Make a Cake from Scratch With 31 Homemade Cake Recipes!, is a collection of cake recipes for you to try out at home, from the classic Victoria sandwich cake to a blackberry and almond picnic cake. Some of the best cakes in the world are home baked, and it is still a great way to get the family together in the kitchen. With easy-to-follow recipes for beginners to the more advanced, no matter what your standard or experience of baking this recipe collection of fantastic cakes are sure to delight. There are nutrition facts and calorie counts with each recipe. The best banana, butterscotch, and chocolate chip muffins ever! 30 Great Recipes with 15 Dinner Menus for Thanksgiving, Christmas, New Year, Valentine's Day , & Easter!